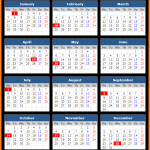 Check Alberta stat holidays for the calendar year 2019. 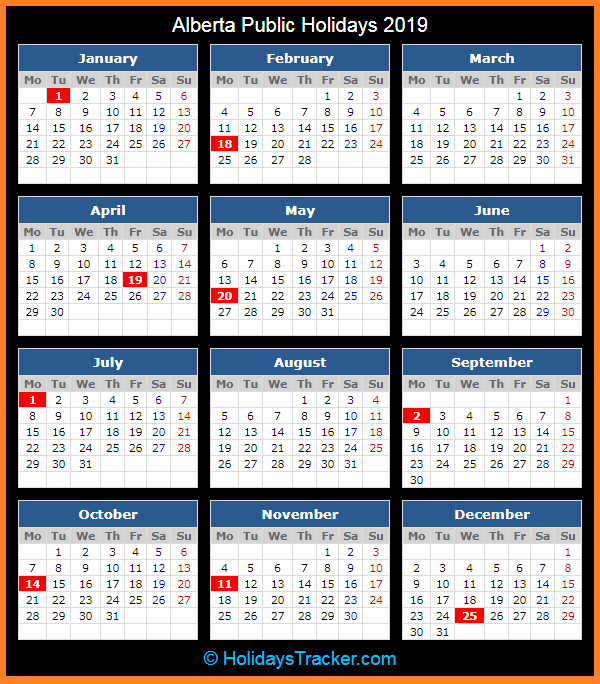 Find 2019 statutory holidays dates in Alberta for New Year’s Day, Alberta Family Day, Good Friday, Victoria Day, Canada Day, Labor Day, Thanksgiving Day, Remembrance Day and Christmas. If an employer agrees to designate additional general holidays for their employees, all employment standards rules related to general holiday pay still apply for these additional holidays.